“Colourful, energetic, exotic and talented, Soulman has warmed the hearts of many with his high voltage smile, incorrigible presence and mesmerizing performances….” Mandy Nolan Seven Entertainment Guide. 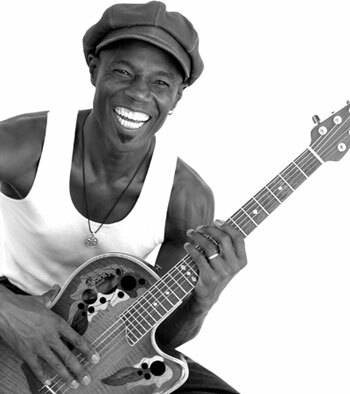 Soulman has recently drawn capacity crowds and won the hearts of many people at The Bellingen Global Carnival, Byron Bluesfest, Woodford Folk Festival, and Neurum Creek Festivals. He has held the stage with Archie Roach, Xavier Rudd, John Butler and Kasey Chambers and featured on recordings with Paul Kelly, Shane Howard, Tiddas and Frank Yamma. A towering 6 foot 5 inches tall, he is a fluent raconteur spreading feel-good vibes in the high energy performances that are his trademark. The music is a distinctive Caribbean blend of folk style story-telling with Soul, Blues, Rock, Reggae and Gospel stylings. Souls’ life is a travelogue. After a globe-trotting childhood he founded his music as a busker in London’s Underground Subways, moving on to hone his skills in the volatile world of workingmen’s pubs, clubs and bars across Europe, England and ultimately Australia. O’Gaia has become a one-of-a-kind singer/songwriter/multi-instrumentalist, and a classic tunesmith whose songs linger in the mind and the heart. His latest release is the uplifting and diverse “Freedom Songs” CD notable for its positive themes and conscious orientation. All told his big voice reaching out with range and clarity is his most powerful calling card. When Soulman sings you see the intensity of emotion on his face and the soulful stirrings of his ancestral lineage. Bring Your Cigar Box Guitar if you have one or there will be some available for use on the day. This course is a lot of fun. Soul will show you how quickly you can start to make music and develop your style on a Three String CB Slide Guitar. All ages are welcome and no musical knowledge is needed. Just be open to having fun. 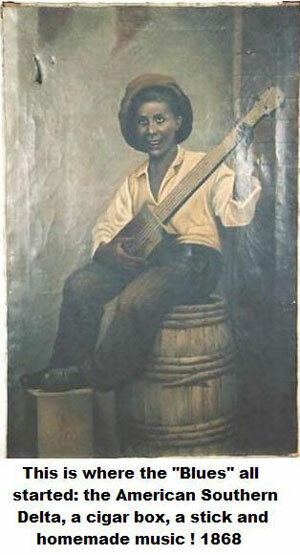 Playing Cigar Box Guitar is very easy and everyone will leave able to play some simple tunes. A list of Soulman O’Gaia’s tips on how to keep making music and having fun on Cigar Box Guitar will be available for everyone. 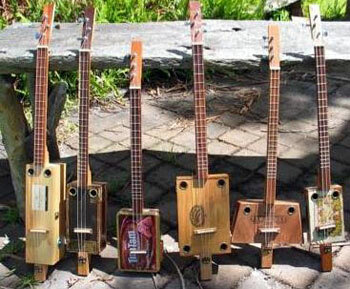 3 local makers will have Cigar Box Guitars they have made available for sale on the day. Concert cost: $16 + b/fee in advance or $19.50 at door, children under 13 Free. Delicious healthy food, snacks and drinks available from 4.30pm, this is a non-alcohol all ages event. .. Mattie Barker emerged from the fertile Gold Coast- Northern Rivers creative music communities in 2006 and has been generating a ground swell of support locally since. Drawing his influences from a wide spectrum of styles and sounds; acoustic roots and blues, reggae chill, to Cat Stevens style folk, Mattie continues to deliver a heartfelt one-man-band style performance. With a warmth that resonates out to his audiences, Mattie Barker keeps the tradition of Harry Manx, Xavier Rudd and Jack Johnson alive and fresh with music directly from the heart, often leaving his audiences inspired with his ernest lyrical content and sincere admiration for each and every soul.